With the tremendous benefits of yoga and meditation too numerous to name, these practices are definitively acts of self-love. In acknowledging that we are worthy of wellness, peacefulness and health, we are caring for ourselves when we show up on the mat. This season of the heart, February, is such a critical time for self-care – particularly in colder climates where willpower is depleted just by meeting the basic needs of work and daily routines. In Ayurveda, yoga’s sister science, this is a very wet, dense season that corresponds to the Kapha dosha. To restore balance in body and mind, we should adopt practices that soothe and counter our personal constitutions. Some of us will need quiet practices in the warm room, and others need invigorating Kundalini and movement practices to keep us from slowing down into inertia. 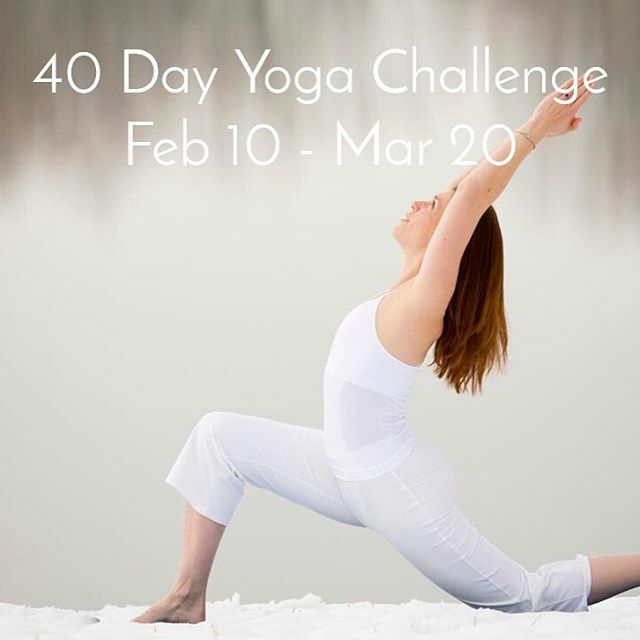 It is an excellent season to practice daily self-love with the 40-Day Yoga Challenge. The Challenge at PranaShanti begins in February for a variety of reasons: most people are largely available to practice consistently, and most people need a little community love and support to get out the door and into the studio when the days are cold and grey. Making a commitment to yourself in this season is very motivating and builds confidence and mental clarity when fulfilled. Why 40 days? The number ’40’ appears many times throughout religions and spiritual systems. Noah preserved life in his ark for 40 days and 40 nights. The Buddha, Siddartha, sat for 43 days to achieve enlightenment. Jesus went to the wilderness to fast for 40 days. According to Kabbalah (a mystic branch of Judaism), it takes 40 days to ingrain a new habit. In Kundalini yoga, Yogi Bhajan believed that 40 days of a meditation practice was required to “provoke your subconscious to release any thoughts and emotional patterns that hinder you”. The 40-Day Yoga Challenge was popularized by one of the first better-known North American yogis, Baron Baptiste, who said that yoga means “to join one point to another and to leave one place, space, condition and move toward a better one.” Yogis who have done the Challenge have called it “transformative”, and many make it an annual component of their self-care routine to help them re-commit to self-care when they’ve lapsed. The Yoga Challenge is like any journey: some days it’s easy to be really kind to yourself and you show up with vigor, and other days, it’s a struggle to fulfill this commitment to yourself. Like all goals set for the betterment of the self, achieving forty days of continuous practice feels amazing. We’ve got special classes just for you, and a beautiful tracking board posted so you can check off your classes as you complete them in studio. There are big prizes to be won by raffle, and every participant who completes their challenge receives a gift from us to say congratulations. Want to take care of yourself? Read up on the rest of the 40-Day Challenge details here. © PranaShanti Inc., 2005-2019. Trademark owned by PranaShanti Inc. Web Property Developed by Rich Media Architects.